In this chapter, the importance of risk assessment in biodiesel-based economy is first discussed. The importance of risk analysis to identify the most promising production schemes is also discussed from an economic point of view. Next, a systematic framework for economic risk assessment of biodiesel production processes and its associated by-products is presented. The application of the framework is highlighted through the production of 1,2-propanediol and 1,3-propanediol as value-added products from glycerol, which are critically assessed in terms of its techno-economic performance through the estimation of economic indicators, net present value (NPV), and minimum selling price (MSP). The Monte Carlo method with Latin Hypercube Sampling (LHS) is used to propagate the market price and technical uncertainties to the economic indicator calculations and to quantify the respective economic risk. In order to decrease the economic risk, the integrated production of the product as a module added to the biodiesel plant was tested as an alternative scenario. Using the integrated concept of utilizing the waste glycerol stream in biodiesel plants contributes to the diversification of the product portfolio for vegetable oil-based biorefineries, and in turn improves cost-competitiveness and robustness against market price fluctuations. The developed generic framework can be applied to other biodiesel by-products to assess the potentials of obtaining value-added products from them. 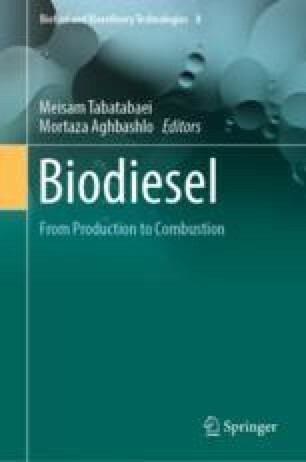 Finally, future perspectives and other approaches toward economic production of biodiesel with lower risks are highlighted. The framework proposed in this work is to provide some detailed perspectives to facilitate the economic risk analysis of biodiesel production for any given technology.